Life is one big adventure! 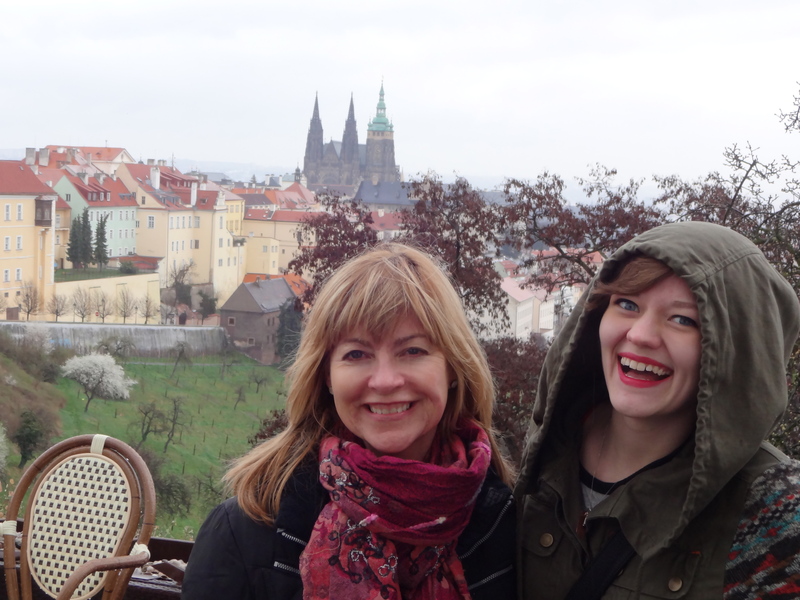 I lived the last three years in Prague with my parents. My dad taught science at an international school. I went to the same school. 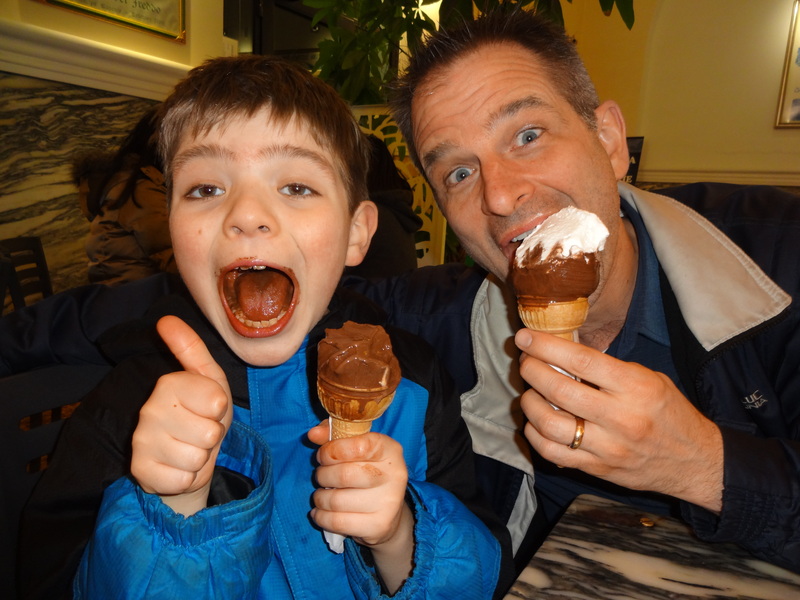 We got to do a lot of traveling during our school breaks. 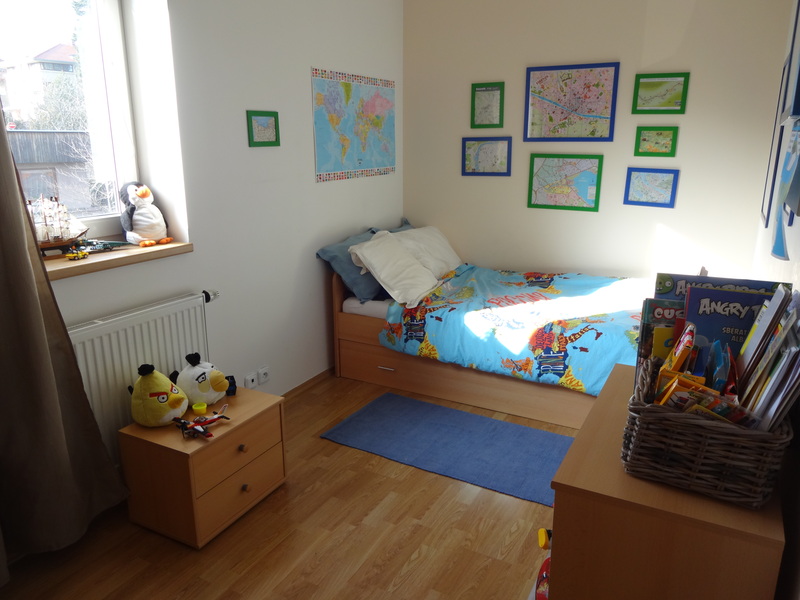 During our October break we did a home exchange in Munich. 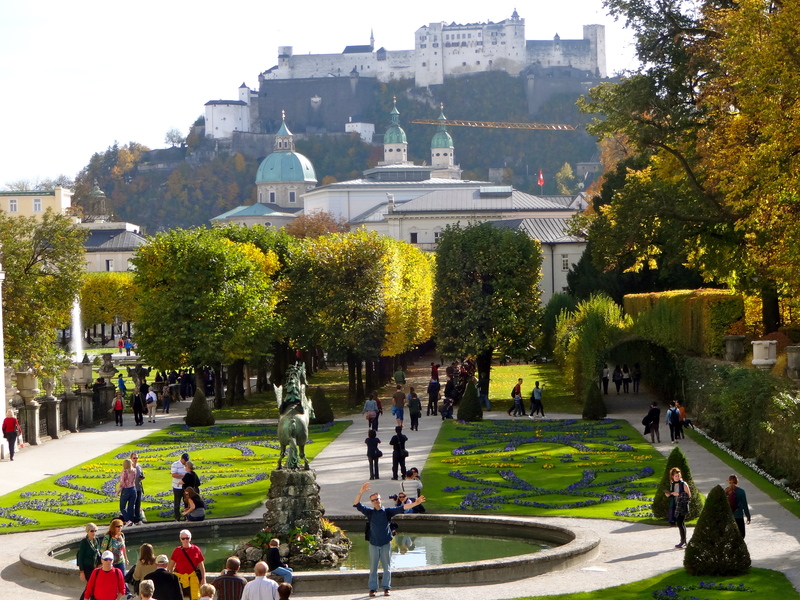 Recognize this from the Sound of Music? My favorite place was Legoland! My parents surprised me with a trip here on our last day. In December we visited Grandma, Grandpa, and my aunts, uncles and cousins in the US. 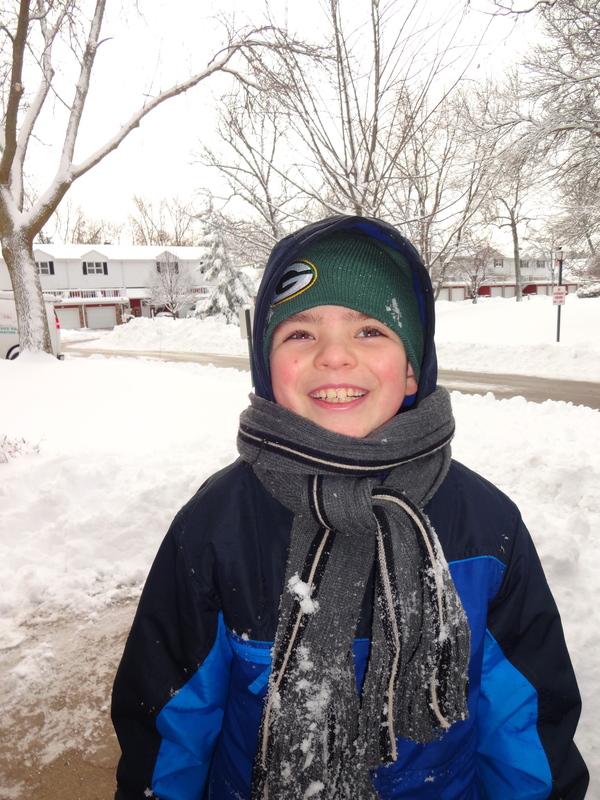 Just after a snowball fight with Dad! 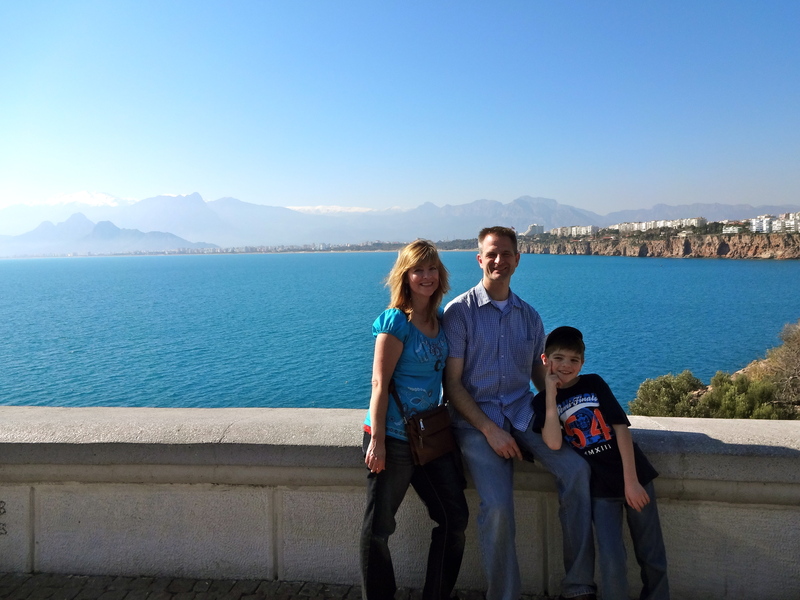 In February we did another home exchange in Antalya, Turkey. Dad loved being on the Mediterranean. It was sunny and a little warm, even though it was February! 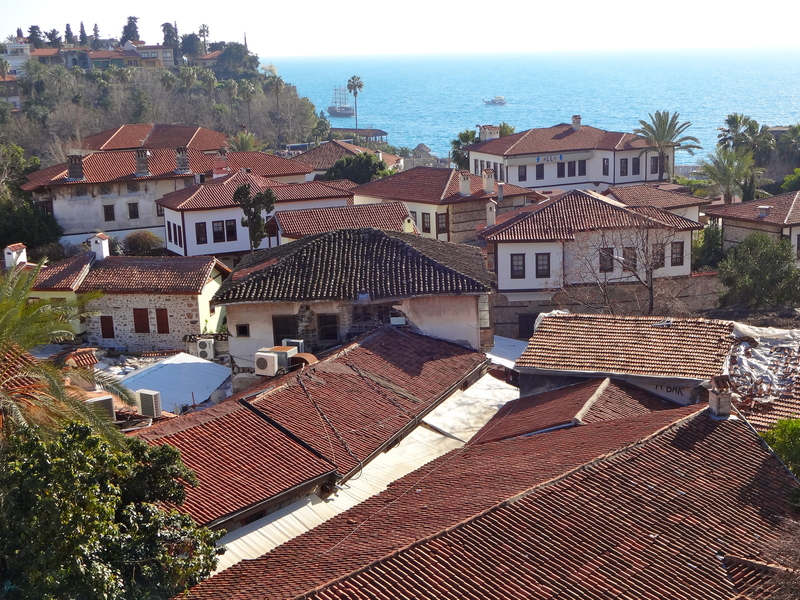 The old town of Kaleici. 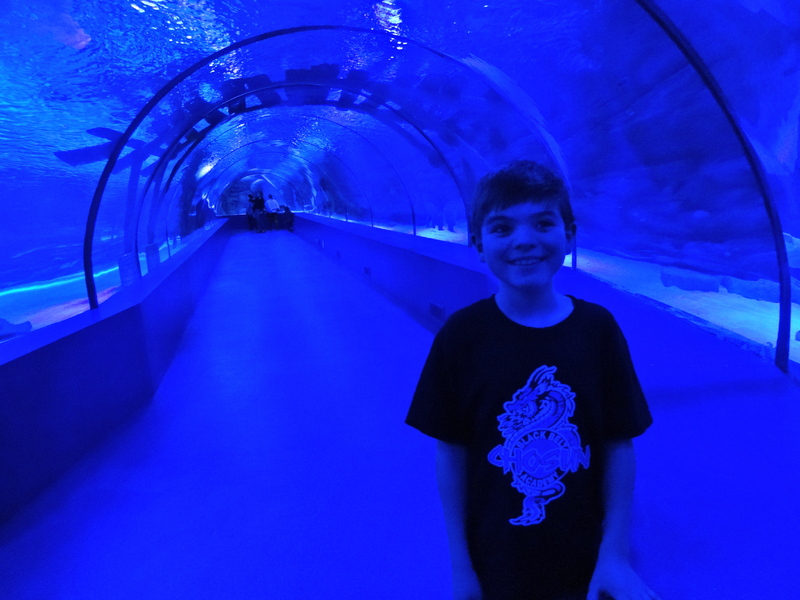 My favorite place was the Aquarium! This tunnel was so cool! We could see sharks swim over us! My sister Sam came to visit us in March. It was so fun to show Sam our city! 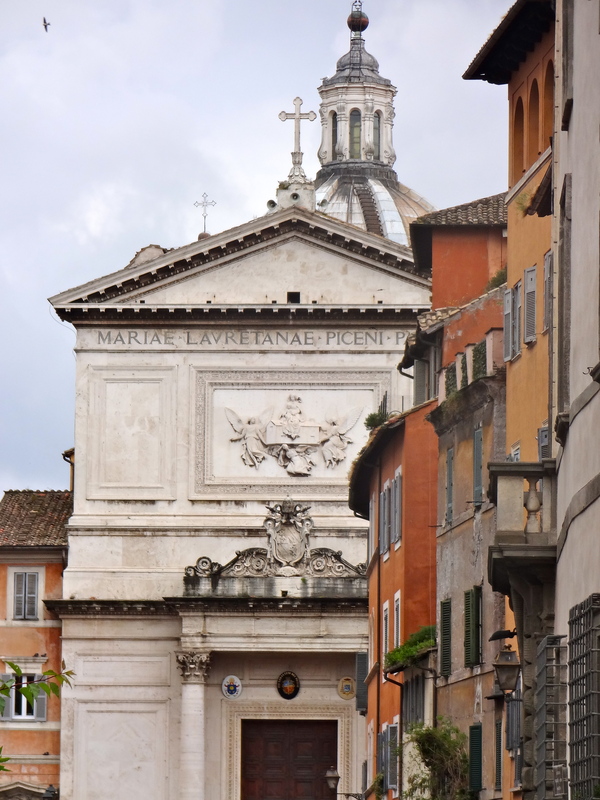 We went to Rome for our Easter break; another home exchange. Dad liked the Pantheon and St Peter’s Basilica. 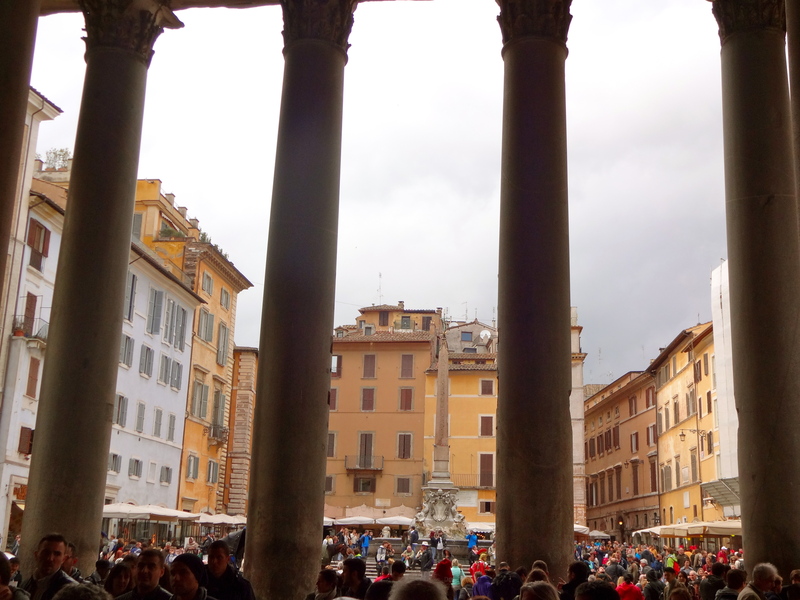 The view from the Pantheon. 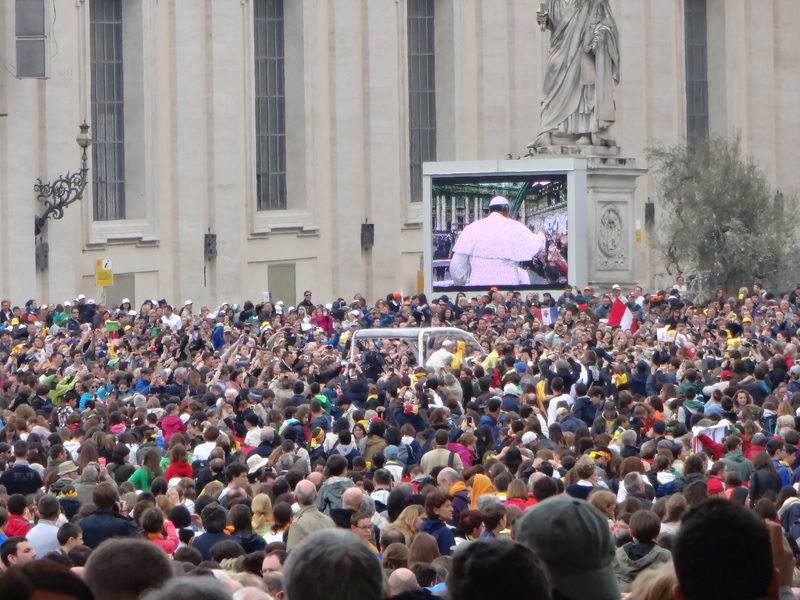 We even got to see the Pope right after Easter! Mom liked walking through the streets and taking lots of photos. Lots of photos, come ON, MOM! 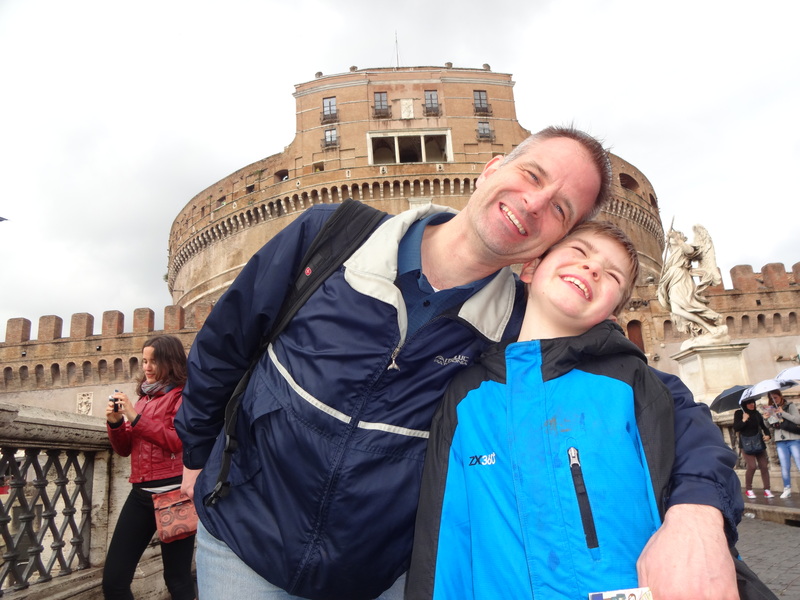 I liked exploring the Castel San Angelo and the Colosseum. May and June were busy! I was in the school musical, The Magic School Bus. Lots of friends came to stay with us at our flat. I went to Summer Fayre, cub scout meetings, and birthday parties. 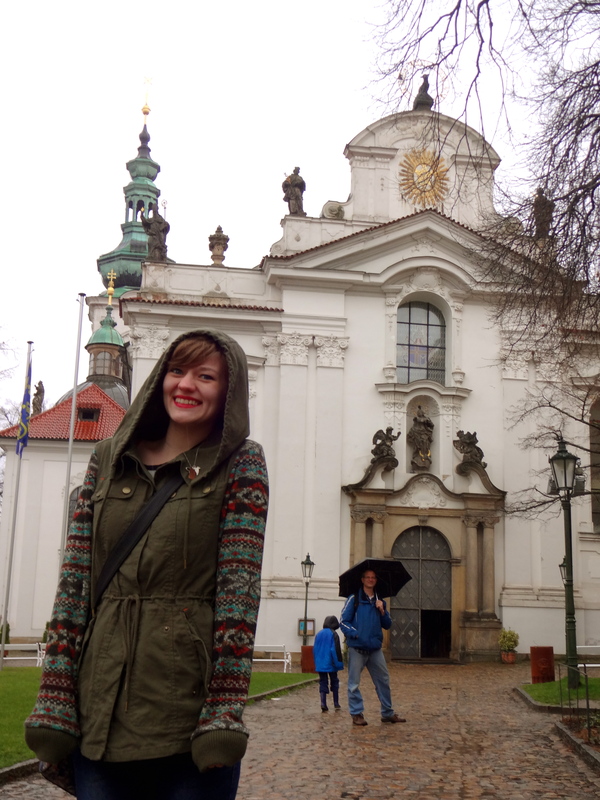 Since leaving Prague we have stayed in 21 different beds in five different countries! 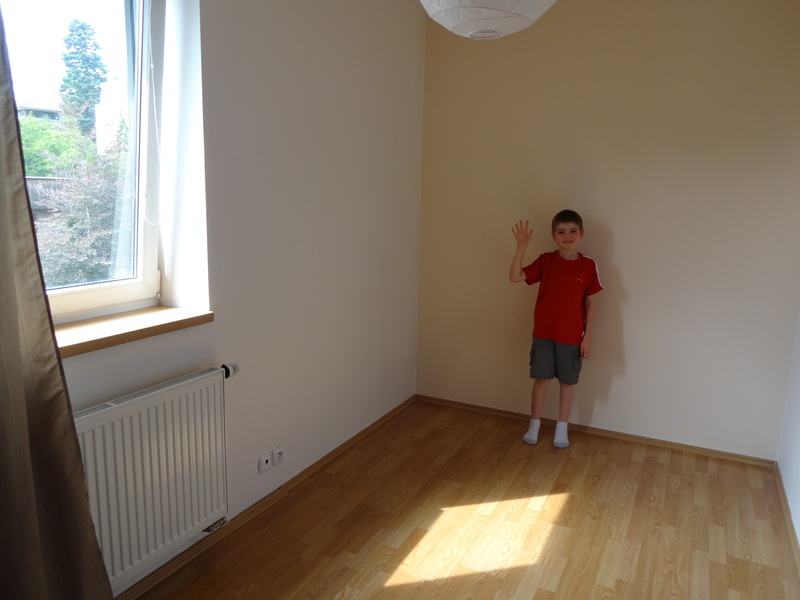 We are doing home exchanges, visiting friends and family. For now, home is wherever we are staying the night. Follow along on our travels and you’ll find out where our new home will be! 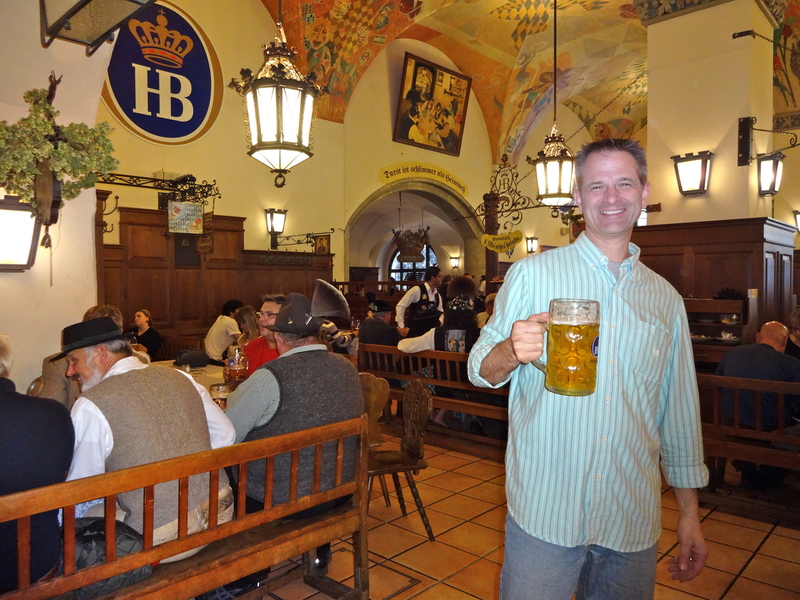 Munich’s Hofbräuhaus: the world’s most famous beer hall! The first Oktoberfest was held in October 1810 to celebrate the marriage of Crown Prince Ludwig to Princess Therese. The festivities were closed with a horse race, a tradition which was continued and later developed into what is now known as Oktoberfest. Sausage…the perfect accompaniment to beer! 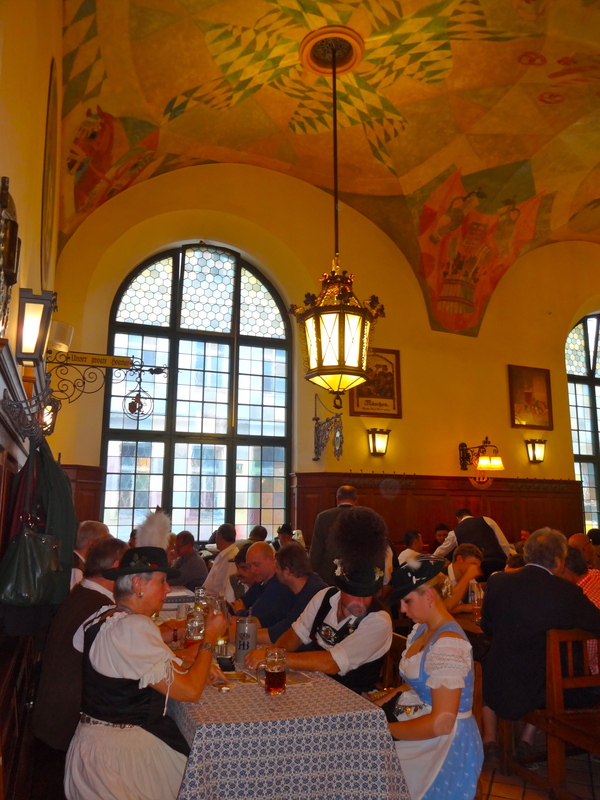 I had thought that the Hofbräuhaus would be a touristy place, with the waiters wearing the traditional lederhosen and waitresses decked out in the traditional Bavarian dresses (dirndl). Although there were plenty of tourists there, I was surprised to discover the place packed with locals, many of whom were dressed in the traditional Bavarian costume. The Hofbräuhaus has the most wonderful, jolly atmosphere, with spontaneous singing breaking out from the people at the tables. 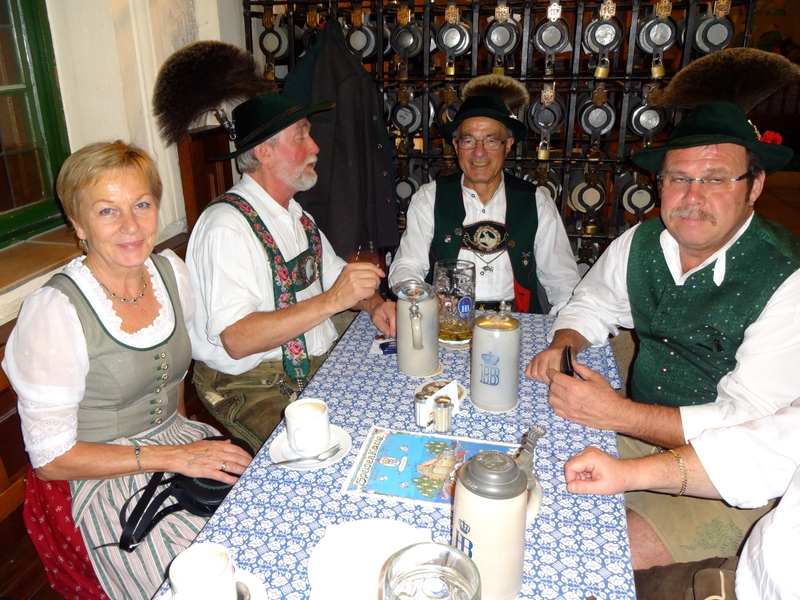 Notice that the men have their own steins, not the big glass one like Andy’s. The Hofbräuhaus has some pretty interesting history that goes back to 1589, when Wilhelm V, Duke of Bavaria and the city council decided to start their own brewery because they weren’t happy with the local beer brewed in Munich. Apparently their beer became so popular that they couldn’t keep up with the demand of 38,000 gallons, and so they decided to build the new Hofbräuhaus at “Platzl” in 1607, the site of the current Hofbräuhaus. 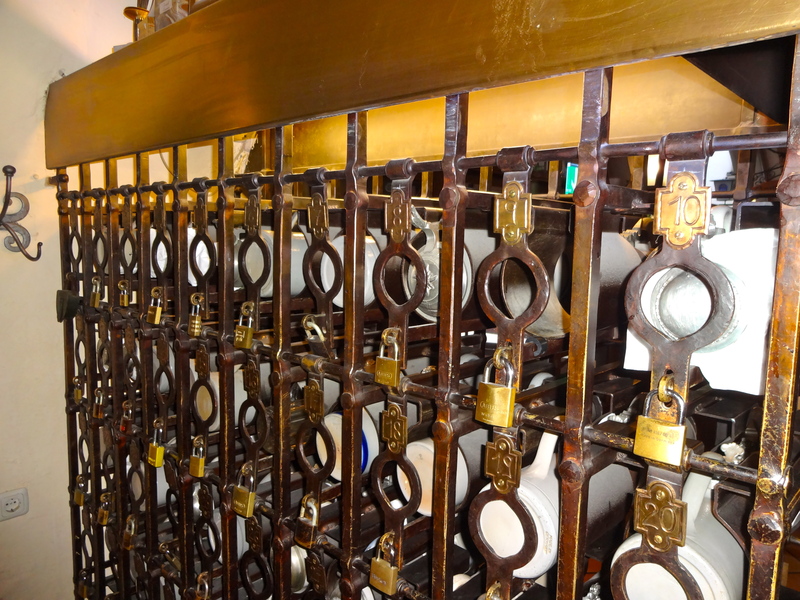 Apparently you can lock up your private stein here, when you are done drinking! Around 1614 a stronger beer called “Maibock” was brewed, and it later saved the city of Munich during the Thirty Years War. When the Swedes occupied Munich in 1632, they agreed to not pillage and plunder the city in exchange for 1,000 buckets of beer! 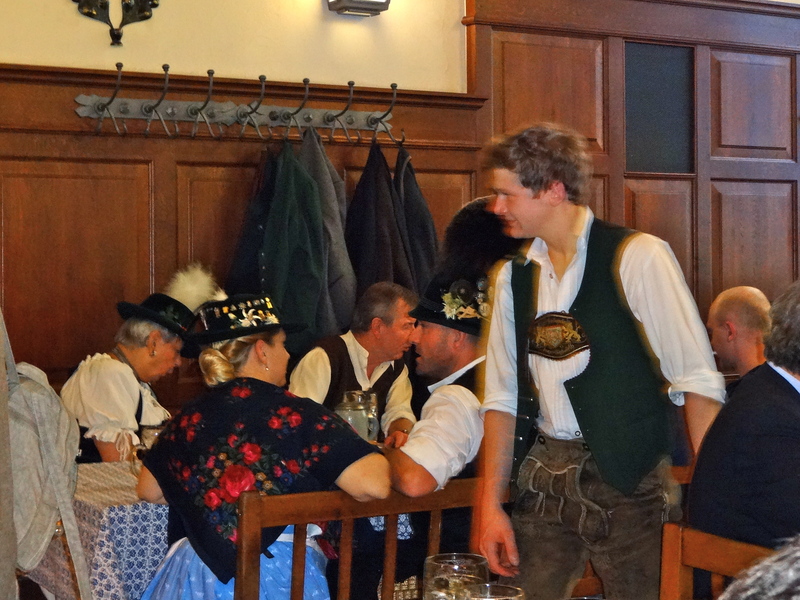 The photo is a little blurry, but it shows the traditional Bavarian costume. Tourism was on the rise in Munich in the late 1800’s. The old brewery was torn down, and the new Hofbräuhaus was built on the same site. 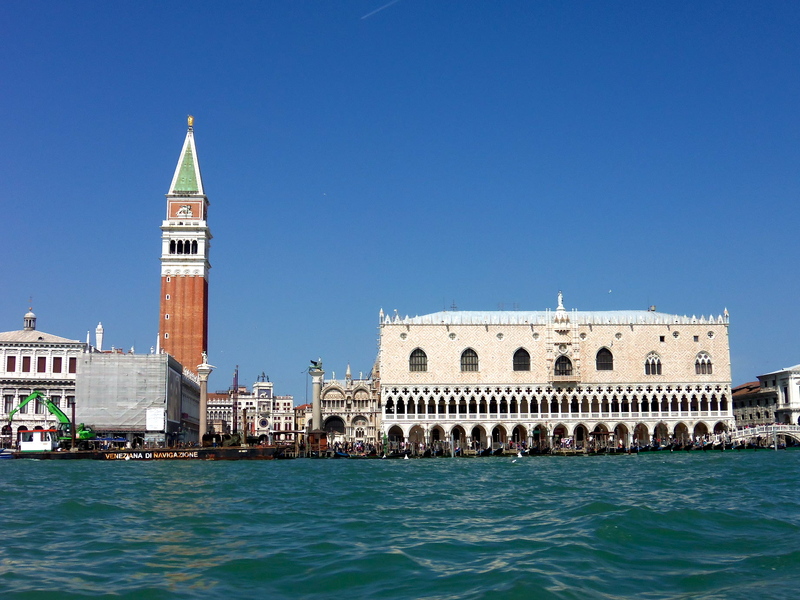 It opened for business in September 1897. Sadly, the Hofbräuhaus was almost completely demolished by Allied bombs in April 1944. By May 1945, only a small section of the main beer hall was still usable. In 1958 the Hofbräuhaus new Festival Hall reopened, just in time for Munich’s 800th anniversary. It has been going strong ever since! Be sure to stop by if you are in Munich! 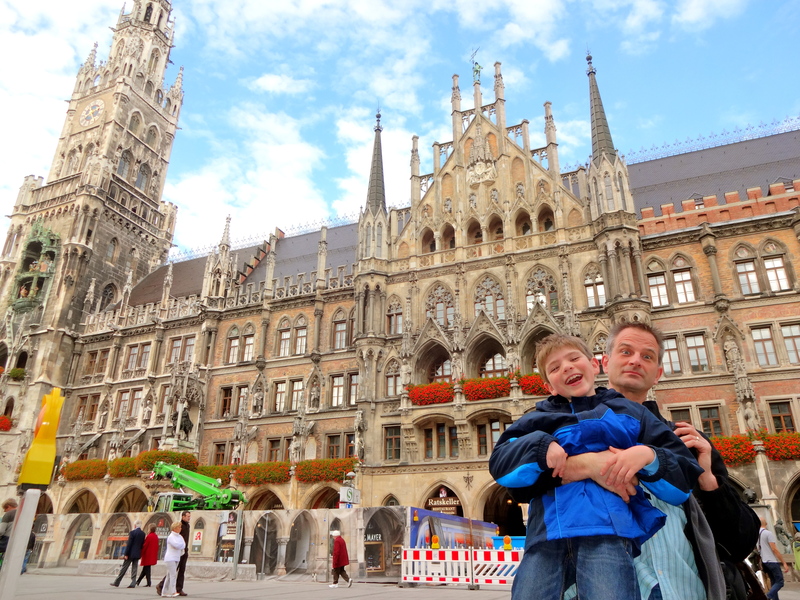 On Thursday we surprised Nate with a trip to Legoland, a day trip from Munich. 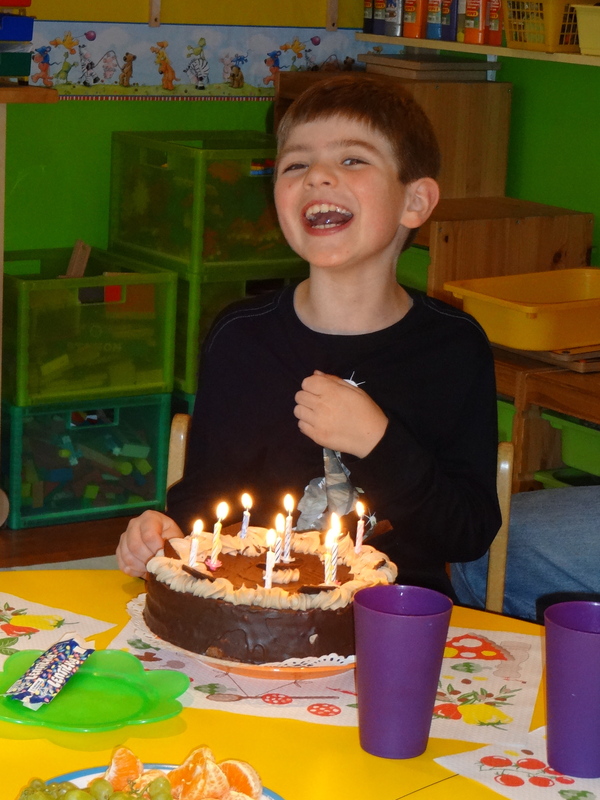 He was delighted, to say the least! 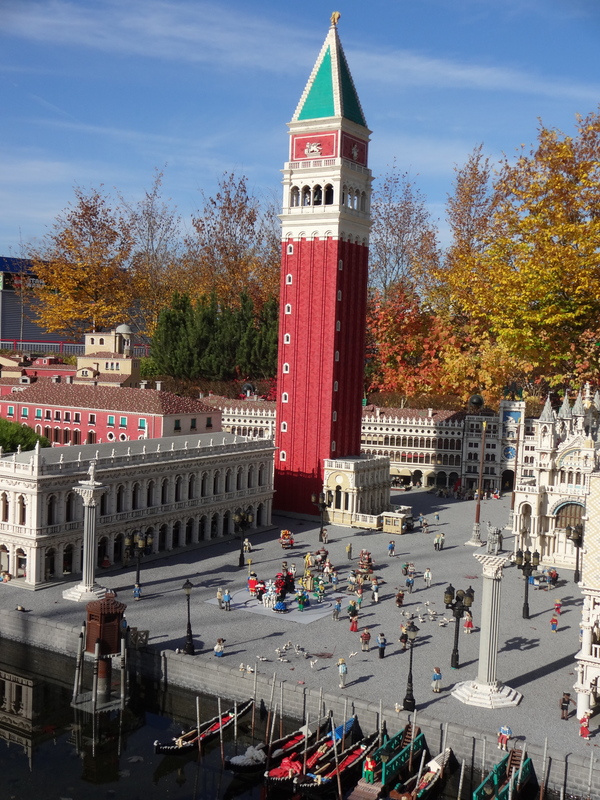 Besides lots of fun rides, they had lego replicas of several famous cities, Venice being one of them. Compare with the photo below!